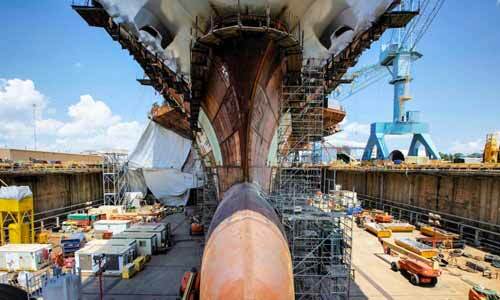 "India is eyeing an estimated $250 billion investment in aerospace and defence sector. With this policy, we expect to attract at least 10-15% ($25-37 billion) investment in Gujarat," JN Singh, chief secretary, Gujarat government, said while announcing the aerospace and defence policy. Singh said, "As per the new policy, the country is eyeing good investment. Around 30% of the deal amount will have to be invested in India for manufacturing. Gujarat has a good infrastructure for manufacturing sector and hence, we expect 10-15% investment in the state in the next five years." Singh said that Pipavav port and its nearby area is good for ancillary units to be set up. "A warship is being constructed at Pipavav. The state is in talks with Bharat Ports, Reliance Group, Mahindra Group and Larsen and Toubro Group to set up defence manufacturing units in the state," he said. Singh said that the machine gun makers Kalashnikov has approached the state government with a proposal to set up a plant in Gujarat. The company is in talks and may sign an MoU during the Vibrant Gujarat next month," he said. The Kalashnikov Company had in 2014 inquired about the legal formalities and other incentives, including financial, the state government could provide.